These Florida lovebirds opted for a destination wedding in Tennessee, where they envisioned a classically beautiful Southern Wedding. 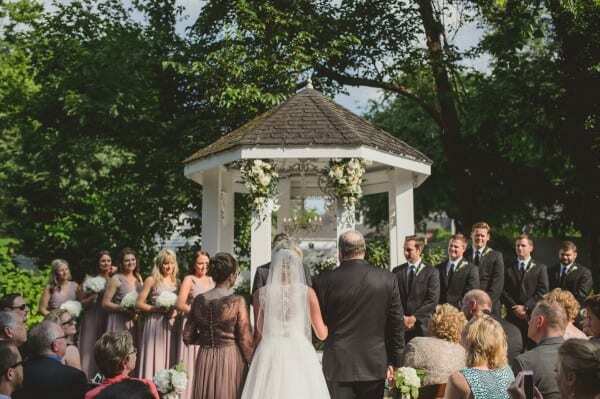 The intimate garden at CJ’s Off the Square was a perfect fit with its sweeping greenery and large trees, creating a relaxed atmosphere for guests to celebrate with the newlyweds. The bride epitomized Southern elegance in her Ramona Keveza gown while the groom looked striking in a traditional three piece tux. 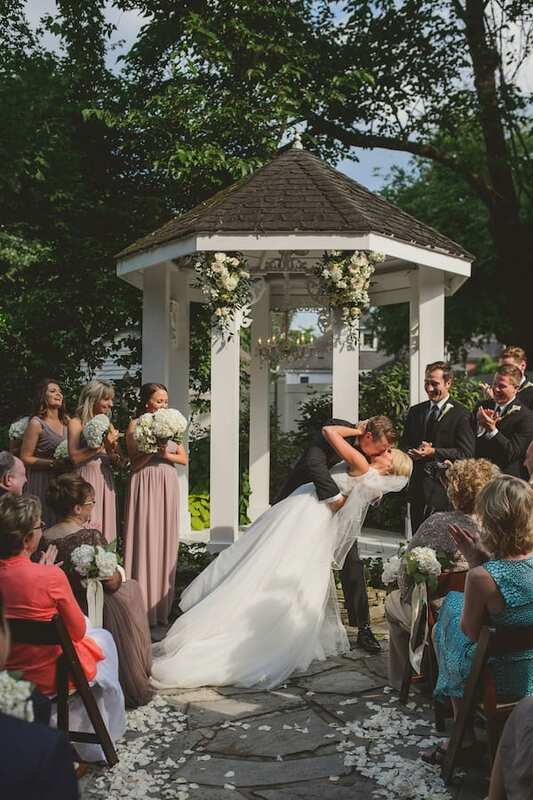 Married in front of the garden gazebo, the groom sealed his vows with a dramatic kiss for his bride! White table linens and vintage flatware were accented by magnolia leaves, ivory garden roses and lush hydrangea centerpieces. All the beautiful details were captured by Nashville wedding photographer, Paul Rowland. Special congrats to Lindsay who one Best Shoes in our 2015 Best of CJ’s contest! Check out the other winners here. Enjoy!